Although Frank was the first of the James brothers to ride off to war, he was also the first to tire of it. Lacking his brother Jesse's incessant need for attention, Frank chose to give up crime and live a quiet family life. Yet he would never truly know contentment until after his brother's death. Alexander Franklin James was the first child born to Zerelda and Robert James. He arrived January 10, 1843, and grew up on his family's hemp farm in Clay County, Missouri. Clay County was one of only seven in the state where at least a quarter of the population was in chains, and, growing up, Frank absorbed his parents' pro-slavery ideology. When the Civil War broke out in 1861, the 18-year-old joined a militia company pledged to protect Missouri from any abolitionist invasion and, if necessary, fight for the Confederacy. That soon happened when the militia was placed under the control of former governor and Southern supporter Sterling Price. Price's troops defeated a Union army at the battle of Wilson's Creek, and for a brief time it looked as if they would capture control of Missouri. But the tide turned in September 1861 when the rebels had to withdraw in the face of a federal force led by John Fremont, and Price evacuated Missouri in February 1862. Meanwhile, Frank remained in Clay County; he had come down with measles, been captured by Union troops, and released after signing a loyalty oath. For a while he stayed at home, but as the Civil War raged on, Frank could no longer remain on the sidelines. Armed bands of pro-Confederate guerrillas called "bushwhackers" had begun to ride the countryside, attacking Union troops and civilians. In May of 1863, Frank joined them, eventually linking up with a group led by the fearsome William Quantrill. In August of that year, Frank took part in a raid by Quantrill's gang on Lawrence, Kansas, where they slaughtered 200 civilians. Reportedly Jesse, because of his young age, was prevented from joining his brother, but in the spring the two rode together, and joined "Bloody Bill" Anderson's group of guerrillas. 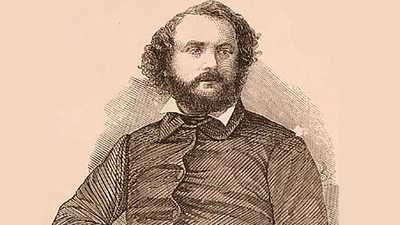 In 1865 Frank rejoined Quantrill on a quixotic raid into Kentucky -- purportedly in an effort to reach Washington, D.C. and assassinate President Abraham Lincoln. The raid ended in Quantrill's death and Frank's surrender to the authorities. Many Missourians longed for peace and welcomed the end of the Civil War, but Frank and Jesse James were not among them. Unable to accept defeat and seething with resentment at Republican laws that effectively disenfranchised all ex-Confederates, they chose a life of crime. Although they rode into robberies together, the brothers had different personalities. Frank was shy, studious, a lover of Shakespeare. Jesse was reckless, flashy, and loved to see his name in print. When, in the aftermath of an 1875 Pinkerton raid, the brothers fled to Tennessee, Frank began to sense the possibilities of civilian life. He had just married a former schoolteacher, Annie Ralston, and when Frank heard that the brothers might be able to get amnesty for their past crimes, he was inclined to surrender; Jesse and Zerelda had to talk him out of it. When the brothers returned to Tennessee in the aftermath of the botched Northfield robbery in 1876, Frank took an assumed name, became a father, and settled down to life on the farm. Those years "were the happiest I have spent since my boyhood," Frank later recalled, and "my old life grew more detestable the further I got from it." But Jesse was restless, chaffing for the thrill of the armed robbery, and eventually he pulled Frank back into it. The brothers rode again near Winston, Missouri, robbing a train in July 1881. During the robbery Jesse killed the conductor. 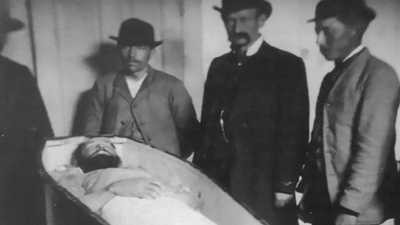 Frank was not there when his younger brother met his end on April 3, 1882, and he had no desire to continue any criminality in Jesse's absence. Frank surrendered to Missouri authorities that October and was subsequently acquitted. Told that he would not be extradited to any other state if he kept a low profile, Frank willingly complied. 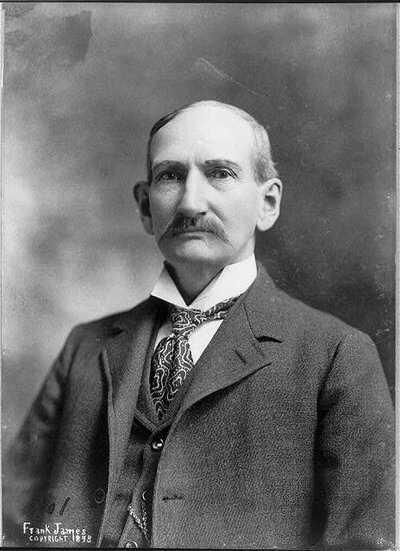 He went on to work as a doorman and a livestock trader, and in 1903 he and former gang member Cole Younger created "The Great Cole Younger and Frank James Historical Wild West" show. Upon his mother's death in 1911, Frank moved back to the old Clay County homestead, and he died on the family farm in 1915. 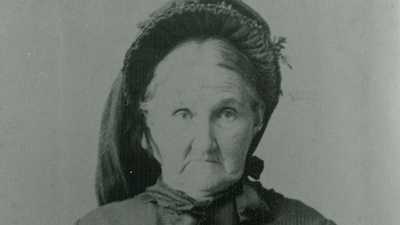 Zerelda James was a slaveholder and unabashed supporter of the Southern cause.